Control Spending. If you spend less you'll have more money available to pay down debt and save for the future. Write down your expenses for a month to see where your money is going. You might be surprised by how easy it is to find places to scale back. Create a Debt Repayment Plan. If you carry credit card debt, write down everything you owe and make a plan to pay it off. Start with small items you can act on right away–it will make tackling the bigger debt easier. Also, try buying with cash only. It’s a sure-fire way to prevent increases in your credit card debt. Setup Auto-Savings Plans. Arrange with your bank or another financial institution to have a set amount deducted from your checking account to a savings account each pay period. Of the Americans who have been able to contribute to emergency savings funds, automatic withdrawal is the most popular method, according to the Consumer Federation of America. Here's why you need to save money. Boost Retirement Savings. If your employer offers a 401(k) plan, increase your contributions. If you don't have an employer plan, open an Individual Retirement Account (IRA) and arrange for contributions to be made automatically from your checking or savings account. Create a Long-term Plan. Write a list of your long-term goals, such as buying a home or saving for college or retirement. Visit the Life Events section of Smart About Money for concrete tips on accomplishing those goals. Protect Yourself. Be prepared for the unexpected by making sure you, your family, your assets and investments are insured and fully covered. If you do not have a will, make 2010 the year you establish a life plan. Not sure where to start, Quicken offers a Willmaker program to get you going. Find a Financial Buddy. Share your financial resolutions with a friend, colleague, or family member, and you’ll be more likely to keep them. Find someone else who wants to turn around their debt or cut their spending, and establish a mutual support system. The practice of New Year’s Resolutions goes all the way to Ancient Rome. Where we look at the past, examine our life and seek to make ourselves better for the New Year. These resolutions can include improving one’s health, getting rid of a bad habit, or re-prioritizing what’s important in our lives. Sometimes mistakes can happen with your credit report. Someone made an error when applying a credit card payment. You were confused with another person. A Social Security Number was read incorrectly by a lender. Inaccurate information on your credit report can stop you from getting the credit you deserve. It’s important to contact the credit bureaus and dispute these credit mistakes. It’s not enough to just manage your debts, start a plan to get out of debt. That means making a list of all your debts, their interest rates, and minimum payments. Try to eliminate your highest interest rate payments first and then work your way down. Don’t exclude your secured debts, such as mortgage and car payments. Even as you pay down your debt, don’t reduce what you’ve set aside to pay off your debts. The more you put towards principal, the faster you’ll get out of debt. Sit down and figure out where your money is getting wasted. Then make a plan to eliminate that unnecessary expense. For example, my money waster was the morning latte on the way into work. At $3.86 a cup, I was spending $1,003.60 a year on lattes. So I bought a coffee machine and starting making my own lattes in the morning. The money from that little extra went towards my emergency fund. USA.gov lists reducing overall stress and work-related stress as popular New Year’s Resolutions. However with the recent economic turmoil and a slow recovery, financial stress is a serious issue that’s going to plague many Americans this year. There are many ways to manage your financial stress. Keep your problems in perspective, and work towards improving your finances. Get support from your family and friends. Exercise or start a low cost hobby to reduce stress. Knowledge is power. The more you know about credit, debt and money, the better you can manage your personal finances. If you’re successfully managing your debt, saving money and budgeting your finances, consider branching out into learning more about investing or building wealth. Don’t depend on others to manage your money for you. Take the time to increase your financial literacy. Improving your financial health can improve other aspects of your life. Take the time to clean up your financial mistakes of the past and start planning for a better future. 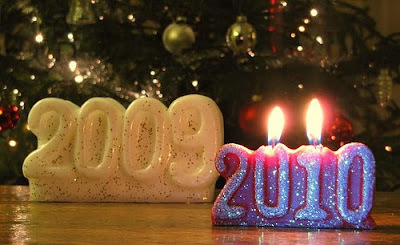 Make 2010 a good year to remember. Kathryn Katz is a working mom, internet marketer and professional copywriter. Kathryn is a Certified Personal Finance Counselor and works for Consolidated Credit Counseling Services. I can't believe how fast 2009 has gone by. It seems like it was just yesterday that we were just coming into 2009. 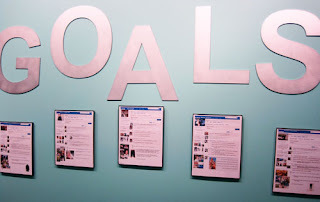 I made 4 goals that I wanted to accomplish in 2009. Now that 2009, is just weeks from being over, it's time to review how close I came to meeting my goals. Right now, it looks pretty bad since I only completed 1 of the 4 goals. SGM Savings Challenge. I had a goal of saving $50,000 over the next 24 months. 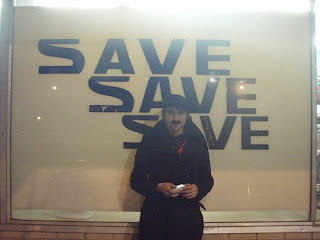 Back in December of 2008, I was at about $28,000 and set a goal of saving $14,000 in 2009 and $14,000 by the end of 2010. I'm happy to say that I was able to save a little over $14,000. Here is the last savings update. Student Loan. My goal was to pay down my student loan balance from over $23k down to $18k. I didn't meet this goal. Unfortunately, the balance did not change very much. I paid down a little bit of the principal but the majority of the payments went towards interest. I think the main reason for this was that my extra cash was going towards my Savings Challenge. The only good thing about paying interest on this loan is that I can write it off when I file my taxes. Increase Alternative Income. My goal was to bring in an additional $7500 in alternative income on top of my regular salary and rental income. The additional income for this goal would come from this blog, Ebay sales and online survey sites. Right now, it looks like I was able to bring in an additional $4300. While it is not near the amount I'd hope for, it's still nothing to complain about. Any extra money you can bring in on top of your regular income is great! Purchase an Additional Rental Property. There are so many properties in the Atlanta area that can be obtained for less than $50k due to the collapse in the housing market. I wanted to use this to my advantage and pick up an additional rental property. I put in offers on 2 properties and was outbid by investors with deeper pockets and a lot more resources than I have. I've decided to put this goal on the back burner for awhile. I don't think the housing market will rebound that much in the next year or two so the opportunities will still be there. How did you do on your 2009 Financial Goals? If you are considering getting your teen or young adult a cell phone and don't want to worry about overages that result in huge bills, consider getting them a Straight Talk Cell Phone. I bought one for my teenage sister a few months ago and it has worked out great. It can also work for those of you that don't want the hassle of signing a contract or worrying about a credit check. If you haven't heard of Straight Talk before, it is a service from TracFone Wireless. TracFone Wireless is largest no contract cell phone provider in the US. Straight Talk was designed to simplify wireless costs without having to sign a contract. They offer 2 simple plans: Unlimited talk, messages and data nationwide for $45 or 1000 minutes of talk time, 1000 text or picture messages and 30mb Data for $30 per month. You basically pick your cell phone (they offer 3 choices), pick which plan you want and pay. 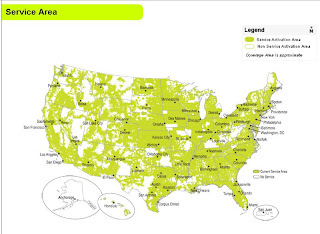 If you are worried about coverage, the service is comparable to that of the big carriers as indicated by the map below. You can purchase Straight Talk online (see affiliate link below) or at participating Wal-Mart stores. I have a friend who is currently in an abusive relationship. Her husband is verbally and physically abusive to her but she continues to stay with him. She's left home a few times only to end up going right back. I couldn't understand why she kept going back so I kept nagging until I got it out of her. The reason she is still there is because she can't afford to leave. He has taken most of the money out of their joint savings account and the individual savings account she had on her own. He has access to all of her accounts but she only has access to their joint checking account. He has his own savings account that she has no access too. She thinks he has taken all the money and put it in his account. He knows that without money, she won't leave him. I could not believe my ears when I heard this. What kind of person would do that to another person? I then started to think about how she could let this happen to her. I am a firm believer in having a little money set aside in your own name when your are married. 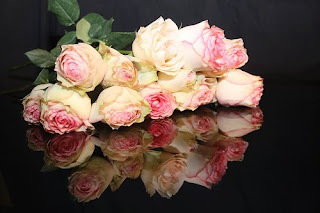 Things happen and unfortunately, marriages don't last as long as they used to. When I get married, I plan to have a joint checking and savings account but I also want to have my own savings account. I may want to purchase something that my spouse does not agree with or my spouse may want to purchase something that I don't agree with. By having our own separate savings account, we can buy what we want without causing a huge financial argument . I've offered to help her but she has refused my help. At this point, I'm not really sure what to do. I'm really concerned that the only way she will leave that house is in a body bag. As harsh as it sounds, I think this is what it will eventually come to. By the way, there is NO excuse for domestic violence!!! I'm going to need some input from my readers on this one. Have you been in a situation like this? How did you get out of it? Do you keep a separate savings account? Do you and your spouse/significant other have equal access to each others separate account? What Is Your Financial Fear? In the last 1-2 years, the economy has certainly given us several things to be fearful of. Many people thought they had a secure job only to find that the next day, they were being given a pink slip or told that the company was going bankrupt. Many people thought that their home would almost certainly increase in value instead of the value dropping like a rock. If you are like me and watched the value of your 401k disappear right before your eyes, that probably caused you some financial fear and a few sleepless nights. I can't even imagine the fear and anxiety of those that were close to retirement. It seems that many of us are only 1-2 paychecks away from bankruptcy. Most of us have no savings to fall back on if there was a major emergency. If you are currently in this situation, it is probably causing you to be fearful of the "what if's" in life.The good news it that the bad economy has caused many of us to start saving a little bit more. Hopefully, the trend will continue once the economy picks back up. What about me, what do I fear? I have an irrational fear of running out of money. I fear some major emergency could come along and wipe out my savings. I fear not being able to pay my bills and losing my home. I fear that I will end up living on the street because I couldn't make my mortgage payment. I fear that if I were to run out of money, I would have no one to help me pick up the pieces. I know this is irrational because I have a great friends and an even greater family who would help me out as much as possible but I just can't shake that fear. I just don't want to risk it and as a result, I hoard money. If you've seen my Savings Challenge posts, you know that I have a goal of saving at least $50,000 in my savings account by December 2010. I'm pretty confident that barring any major emergency, I can make this goal. Once this goal is completed, I will probably bump up the amount to $75,000 and eventually $100,000 by the time I am 35. I think once I've saved six figures, I will feel a little better about my fear of running out of money. What is/are your financial fear(s)? Update: The offer has been extended but can be withdrawn at any time. I'm sure you've seen all the Black Friday "deals" out there for spending money. ING Direct is doing something a little bit different this year and having their own Black Friday deal...and this is a good one. I wish I didn't already have an Electric Orange account so I could take advantage of this! Open an Electric Orange account and get $121 account opening bonus. I'm all about free money and this is a good one. Why $121? Well according to ING, this is the average amount consumers pay in overdraft fees each year. Open an account today using the code "EOSAVE". Use your debit card to make 3 signature transactions (choose credit instead of debit) within the first 45 days. On day 50, ING will deposit $121 into your account. ING Direct will withdraw this offer at any time. Open your account NOW. They are also offering a 12 month CD @ 2%. This week, I'm taking some time off to visit with family and friends and just get away from work for awhile. I will be working Mon-Wed and then I will be on vacation until December 7th. It's that time of year when most people stop to reflect on what they are thankful for in their life. Personally, I know I have a lot of things to be thankful for. I have great friends, a loving and supporting family, a stable, well paying job with benefits. The bills are paid and I don't have bill collectors hounding me every minute. I have money in the bank to cover "almost any" unexpected emergencies that may creep up. How Long Will It Take You To Payoff That Debt? I will be back with a new post next week - Monday November 30th. I hope all of you have an healthy, happy and safe Thanksgiving! 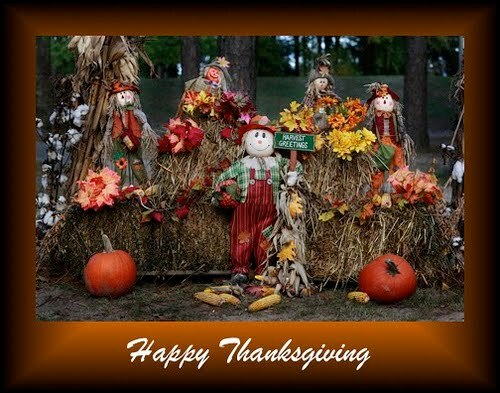 Have fun and enjoy the time that you have with your family. Free $50 and a Debit Card That Earns Rewards? I'm all about free money. These days, it's hard to find accounts that are paying bonuses for opening an account. 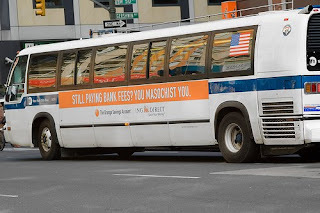 I found out the other day about PerkStreet Financial. PerkStreet has partnered with the Bancorp Bank, member FDIC, to provide several of its banking services, including FDIC insurance. This free online checking account gives you a number of perks for having the account AND now, until February 28, 2010 you can also get a $50 bonus for opening an account. While this account may not be best for everyone, if you need or would like a separate free checking account, this one can be perfect. Opening an account is quick and easy. It took me about 3 minutes to get it setup. You will need your drivers license and a debit card, credit card or check from your current bank and at least a $25 opening deposit. What are the benefits of having an account? By using your debit card without a pin, you can earn free coffee, music or 1% cash back. How much does it cost? The account is absolutely free. There are no account minimums, maintenance fees or charges for using your debit card. 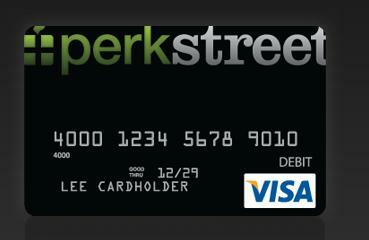 How can PerkStreet offer so many perks? By having no branches, they don't have to spend billions of dollars to open and maintain branches. They use the savings to offer perks to customers. How do I make a deposit? You can add money to your account by direct deposit, transfer money from an existing checking or savings account, make free deposits at any UPS or Mailboxes, Etc store and PerkStreet will receive your deposit the next day. You can also mail in deposits. How do I withdraw money from my account? You can withdraw money for free at over 37,000 STARsf surcharge free ATM network or at any merchant that offers cash back for purchases. You can use ATMs outside the network for a $2 fee. Is your money safe? Yes. Every PerkStreet account is FDIC insured up to $250,000 and all PerkStreet Financial Visa Debit Cards are protected by The Visa Zero Liability policy. This policy ensures that you won’t be held responsible for any unauthorized transactions. The account is just like a regular checking account since you can pay bills online, check your balance online or by phone and receive text balance alerts via email or mobile phone. You can also get help via phone anytime of the day and most calls are answered within 30 seconds. This is a guest post from Joel J Ohman, a certified financial planner and president of Credit Card Chaser. If you are in the enviable position of many who have their high interest consumer debt paid off and firmly in control then you have likely reached a point in your financial life where you are maybe in somewhat of a befuddled mindset about how to best make the transition from solely working for your money to putting your hard earned money to work for you as your servant with you being it's master rather than vice versa. This transition of how to best deploy your hard earned cash is a great place to be because now you are no longer in the "pay off high interest debt as quickly as possible" stage but rather you are about to enter the stage of "Wow, I had always hated watching interest rates climb when I had a balance on my credit cards but now I love high interest rates because it just means that my interest earning bank account balance is going up even faster!" Granted, this was a rather broad introduction but I think it is appropriate because I think two of the very best ways to jump feet first into the "making money work for you" stage is by using a combination of a high yield checking account (sometimes called a rewards checking account) and a rewards credit card. High Yield Checking Account - This is a checking account that earns an above average rate of interest (often significantly higher than the average) and is typically found at regional banks, online banks, and local credit unions. Rewards Credit Card - This is a credit card that allows card holders to receive special perks for every time they use the card. These specials perks can be in the form of cash back (my personal favorite), points, frequent flyer miles, free hotel stays, free dining, free travel, etc. Interest rates can be astonishingly high (the highest rate that I was able to find from the chart linked to above was 6.01% APY with the average yield for all 483 high yield checking accounts surveyed being 3.74% APY). Compare those rates with the rates that you would get (if you can find a personal checking account that earns interest at all in the first place) on a regular checking account at Bank of American or Wells Fargo or any one of a number of national banks and you will quickly see that even the average high yield checking account's interest rate will quickly send the checking accounts from the big bad national banks crying home to momma. Debit card access. It is rare to see any type of checking account without debit card access be it a regular checking account or a high yield checking account. Many high yield checking accounts have the same Visa or MasterCard backed debit cards as their regular checking account counterparts. Balance caps. Every single one of the 483 high yield checking accounts on the list that I searched through had a balance cap of anywhere from $25,000 to $100,000 with the average balance cap being $34,451. What this means is that you can certainly keep more than the balance cap in the account but the maximum base that they will pay out interest on is limited to the balance cap number. Number of debit card transactions. Most high yield checking accounts institute a requirement that you use your debit card a minimum number of times every month or else the interest rate will decrease to close to nothing. Usually the minimum is set at 10 transactions every month. Maximum deposit levels. Another restriction that some banks and credit unions impose on high yield checking accounts is that they set a maximum deposit amount that will be able to earn interest. This means that if the maximum deposit amount is $5,000 and you deposit $10,000 then at best only $5,000 of your deposit will earn interest and at worst none of your deposit will earn interest because it exceeded the preordained maximum deposit amount. The exact implementation of this requirement, if at all, will of course depend upon the specific bank of credit union. Various bank fees. I almost didn't even add this bullet point because it seemed like a no brainer. Understanding that there are many potential bank fees is a no brainer but I think it's important to just mention this quickly because we all need to be reminded about how quickly those bank fees could potentially eat into our interest if we aren't careful. Whatever you do make sure that you don't throw your money away on bank fees. Cash back. You really can't help but love cash back. As long as you use your cash back credit card properly and make sure to pay off the balance in full every month then if your card gets 1% to 3% cash back on every purchase then you are essentially only having to pay 97% to 99% of full price for everything you buy. This is like your own little plastic coupon that guarantees that you will never have to pay full price for anything no matter where you buy it (unless they don't accept credit cards for payment of course). Additional rewards. Even though my personal favorite is cash back (I use the American Express TrueEarnings Costco Card) there are many different rewards cards that offer anything from free flights to free hotel stays. Purchase protection. Just like any other credit card if you make your purchases with a credit card you have a level of protection that you just don't have with cash or checks (although many Visa or MasterCard backed debit cards offer just as much protection as a credit card so this is not really that much of a distinguishing feature for most rewards credit cards vs. high yield checking account comparisons). Potential for mismanagement. If you carry a balance on your rewards credit card for even one month then you can potentially wipe out an entire years worth of cash back savings. If you think that you might feel at all tempted to just run up a bunch of purchases on your card without having the money in the bank to pay the balance off in full every month then you should seriously consider either scheduling your credit card payments to be made automatically from your checking account to your card and for the bill scheduler to be set to automatically pay off the balance in full every month (which will force you to spend responsibly) or if that still doesn't work then you should reconsider using a rewards credit card in the first place until you can get a firm grasp on managing credit responsibly. Fine print. This is true of a high yield checking account just like it is true of a rewards credit card because you can see from the above high yield checking account cons that there are quite a few hoops that one has to jump through to earn the high interest rate for the checking account but I think it is important to point out on the credit card side of things because it seems that many people tend to gloss over the details for their credit card. 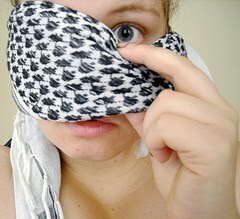 Wander blindly into a new credit card application at your own peril. Take a few minutes and really compare credit cards in depth to make sure that you understand the features and the fine print. So should you choose a high yield checking account or a rewards credit card? I don't know your specific situation and so of course I have no idea of what strategy is best for you but I do know that many people can put their money to good use and their spending to good use by using a combination of the two. I am a firm believer in putting ones money to work for them rather than going into debt and serving money. When you have paid off any existing high interest consumer debt then consider crafting a strategy that involves using both a rewards credit card and a high yield checking account to propel you towards your financial goals. There are several ways that you can control your credit debt. Having a huge debt hanging over your head is never a good thing. Debt creates stress and anxiety for everyone. The ultimate goal should be to get rid of the debt so you can move forward with your life. 1. Create a budget - If you are going to continue using your credit cards, then it is best to minimize spending, or at least stop purchasing things you do not need altogether. Forget about the fancy clothes and other big purchases. 2. Start Paying Off Existing Debts - Come up with a doable payment plan, but be realistic. If you are $10,000 in debt, expect it to take you a couple of years to get out of debt. 3. Use Only One Credit Card - If you are the type who just has to use a credit card, get rid of all of them except for one. That way, you are still allowing yourself the luxury of spending, just not as much. 4. Seek Debt Counseling - Because it can be so difficult to pay off debts, many people find it necessary to seek debt counseling. They usually charge a small fee, but help you to get out of debt rather quickly. 5. Get a Debt Consolidation Loan - Again, this is another option that may or may not be a good idea, but if you are in a substantial amount of debt, it will definitely help out. You can usually pay off your credit debt and save 40-60% on your overall expenses. 6. Find a Way to Make Some Extra Money - The more money you have, the more you can spend, so you may not have to alter your current lifestyle as much as you think. Getting a part-time or weekend job to devote solely to paying off your debt is a great way to get everything back under control. 7. Stop Putting It Off - Everyone has the tendency to want to "wait till next month" to start paying off their debts. Even if you don't make a lot of money, you can still start by paying as little as $5.00 at a time! Every little bit counts, so get started now. 8. Stop Living So Frivolously - Other than cutting back on what you do not need, you should also cut back on the things you do need. Instead of going out to eat twice a week, go once every two weeks. Keep the lights turned off when you are not using them and don't travel as much. Over time, you will have a lot more money in your pocket to put toward getting rid of your debt. 9. Believe That You Can - No matter your financial situation or how horribly you are currently in debt, there is a way out. Sometimes getting out of debt is as easy as maintaining a positive attitude. Once you believe there is a way, just like magic, there really is! 10. Imagine Being Free From Debt - This will help you to become motivated to actually put your money toward your credit card bills. Think about what it would be like to not be in debt at all. It can happen, but you have to want it badly enough. The key is to stay focused and not get off track. If you fall off, pick yourself back up and continue. This is a guest post from Mirsad of Think Credit Cards. Be sure to drop by Think Credit Cards and say hi. Should You Consider Last Minute Holiday Traveling? This is a guest post from Kathryn Katz with some great tips to help you save money on your holiday travel. See more about Kathryn at the end of this post. Last year travelers cashed in big when travel industry panicked and lowered prices right before the holiday travel rush. The airlines weren’t prepared for Q4 2008 travel backlash, and lowered prices to entice consumers to make last minute travel plans. However, this year many airlines are grounding more planes and the tide has turned for consumers. Less seats and greater demand are causing airfare rates to rise. How can you save on holiday airfares? Unlike last year the longer you wait, the more you’re going to pay. If it’s in your budget, book now rather than wait for the airfares to get lower; otherwise, you may end up paying more and give up the convenience of traveling when you want to. Avoid traveling during the popular Wednesday-to-Sunday trip. Many of the major airlines, such as American Airlines, United Airlines and Delta, are adding a $10 surcharge to those holiday airfares. Instead, consider flying Tuesday to Saturday. According to Bing’s holiday forecast, you can save up to 20% if you’re flexible with your travel plans. There are hundreds if not thousands of price comparison travel websites. Some of the popular travel websites include Travelocity, Expedia, Orbitz and Priceline. Bing.com even offers a price comparison between travel websites, such as Hotwire, Expedia and Priceline. Before you buy that ticket at one of these bargain travel sites, make sure to go direct to the airline and see if you can get a better deal. Sometimes dealing direct with the airline can save you money. If you’re booking your airfare online, many travel sites will try to up-sell a travel package. In some cases, booking everything in one place will save you money, but sometimes that convenience will end up costing you more. Break the travel package apart and make sure you’re really getting a deal. Also, check with relatives and see if you can stay with them to avoid the hotel and car rental fees. Sure you’re giving up a little independence, but it can make the whole trip a lot less expensive. 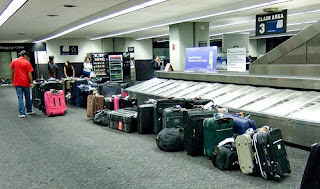 Most major airlines charge baggage fees to travelers that are checking in bags, and limit the size and weight of the carry-on bag. Check with your airline ahead of time to find out their specific rules and alter your packing plans accordingly. Some airlines will offer reduced fees if you pre-pay for bags on their website. If you’re bringing gifts to the family, limit it to what will fit in your bag or use gift certificates. If you can’t take advantage of the prices now and have to wait to buy your tickets, setup a Fare Alert so you can keep track of airline fares for your destination on a daily basis. You might get lucky and find a last minute deal. Kathryn Katz is an avid cat lover, single mom, internet marketer and professional copywriter. Kathryn is a Certified Personal Finance Counselor and works for Consolidated Credit Counseling Services. Banks around the country are continuing to bleed red ink due to the foreclosure crisis and the weak economy. As such, they are looking for any possible way to make up for the lost revenue. I don’t know about you but I don’t have any extra money to give away to the banks. In this economy, it is important to watch and hold on to every penny. Bank Fees. There are way too many free accounts out there. If you don't know if you are being charged for your account, be sure to check your bank statement. If you like the bank you are currently with, check and see if you can switch to a different type of account that does not charge fees. If your employer offers direct deposit, many banks will waive the monthly service charge on your account. ATM Fees. Fees for using another banks ATM can run as high as $3 and then you may be charged again by your bank for using another banks ATM. If your bank does not have many ATM's, consider switching to a bank that will refund ATM fees. My current checking account is with a small community bank that only has 2 branches. I like the account because they pay 4% on checking balances up to $50,000. They compensate for their lack of ATM's by reimbursing fees for using another banks ATM up to $20. Another way to avoid an ATM fee is to use your debit card at a grocery store or stores like Wal-Mart and Target and get cash back. Overdraft Charges. Here's another charge you can easily avoid. I won't say that I am perfect and have never made a mistake. I too have made a mistake in my balance and bounced a check or two in my lifetime. The important thing is to make sure it doesn't happen all the time. Keep your account in balance and don't try to "float" checks. If you don't have the money, you don't have the money. It's very simple; if you have $5 in your checking account, don't write a $10 check hoping your paycheck will beat the $10 check to the bank. Checks clear a lot faster these days and that $10 check may just end up costing you $25 - $35 more depending on what your bank charges for overdrafts. Don't rely on the balance you are given at the ATM because there may be items that have not cleared yet. Today is the 5th anniversary of my grandfather's death. I still miss him a lot but I know he is in a better place. My grandfather was like a father to me growing up since my father was not around. We lived across the street from my grandparents growing up so I got to see him everyday. He was my hero and my role model. My grandfather was a hard worker. He worked in construction up into his late 60's; only stopping due to health issues. He was never in a management position and worked for the same company for over 30 years. He was only making about $10 an hour when he retired but he still managed to get the bills paid and save money. My grandfather taught me that it was important to always set a little something aside for a rainy day. 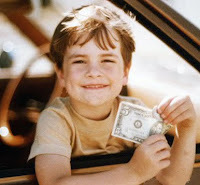 Whenever he would get paid, he would give my grandmother cash to spend on the things she needed and buy groceries. The rest of the money went to the bank for the checking and savings accounts. My grandmother knew that once the spending money she had was gone, that was it until the next paycheck came. When I was in high school, my grandfather would have me write out the checks for the bills and go to the bank for him. Even though there was not a lot of money, he would make sure he paid everyone he owed. He stressed the importance of keeping your word. Whether it be the gas company or your buddy, if you owed someone money, you made sure you paid them back.If you told someone you were going to do something, you better be sure you did it. Those early lessons still stick with me today. If I owe someone money, I make sure I pay them; no matter how small the amount. I always make sure I set something aside for a rainy day and if I tell someone I am going to do something, I do it. What money lessons did you parents teach you?